What level of security and privacy does itsme® offer? With the emergence of digital and online services, using a trusted digital identity for your users, collaborators, partners has become even more important and challenging. New digital identity solutions arise on the Belgian market, combining privacy, security, mobility and convenience ... One of them is itsme®, the Belgian reference for mobile identity and digital privacy! 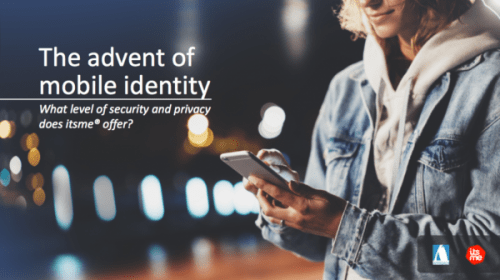 Learn more about the solution and how it can be used for your business; you can find here the presentation "the advent of digital identity" given together with itsme® during Infosecurity Belgium 2018. As an improved integrator of Belgian Mobile ID, we are ideally placed to assist you in integrating itsme into your online services. But not only! 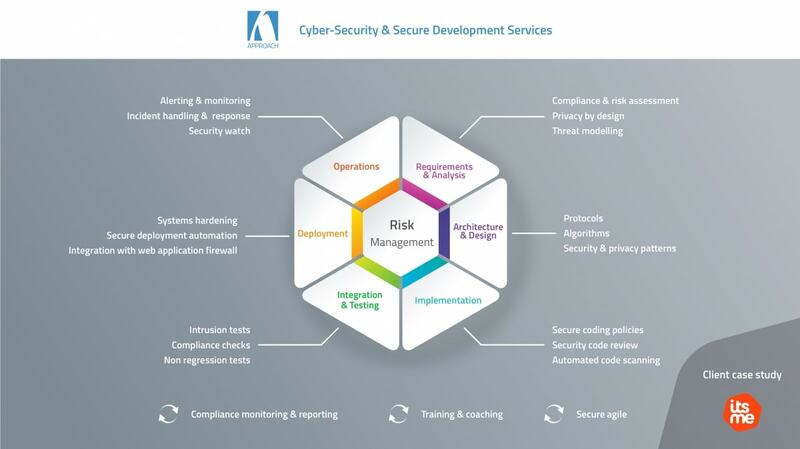 Thanks to our unique broad spectrum of expertise, we offer services and solutions covering the entire cyber security value chain. And because we have our own software factory, we are uniquely positioned to develop highly secure solutions for our clients.